Since 2001 Frank Wallace has been one of the most prolific composers of songs with classical guitar of our time. He has written well over 100 songs, most of them in cycles ranging from three to fifteen songs. The poetry is from many sources, including Pulitzer-prize winning poet Theodore Roethke, Robert Creeley, Federico García Lorca, Guillevic, Shem Tov Ben Palquera, Rumi, Nancy Knowles and the composer himself. The richness and complexity of the accompaniments and his compelling vocal melodies highlight the influence of his mentors, from Dowland to Schubert to Britten. Frank Wallace founded and directed for four years the Boston Classical Guitar Society’s Festival 21, celebrating all that is new in 21st century guitar, as well as serving two years as the Society’s director. In New York City he founded, and with John Olson co-directed, the Second Sundays Guitar Series run by the New York City Classical Guitar Society and Roger Smith Hotel. He has taught at the New England Conservatory, Plymouth State College, Emmanuel College, Keene State College and Franklin Pierce University and has a B.M. degree in classical guitar from San Francisco Conservatory. 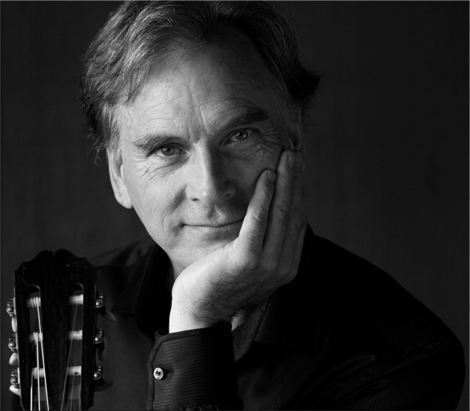 As a performer he has toured widely throughout the U.S., Europe and South America since 1976, performing with Duo LiveOak and as a soloist at such festivals as the Holland Festival, Regensburg Festival, Música en Compostela, Boston Early Music Festival, Barcelona Festival, International Guitar Festival of Arequipa, the Festival of Spanish Song of Granada, and Guitar Foundation of America. His complete works as well as his recordings are available at www.gyremusic.com, a site rich with information and samples of sheet music, audio and video. His works have been featured in Guitar Review, Soundboard, Fingerstyle Magazine and The LSA Quarterly. Wallace’s compositions have been twice honored by the New Hampshire Council on the Arts’ Artist Fellowship Award, in 2001 for Frank Wallace, his own new works (Gyre 10012), his debut recording on Gyre of his own compositions, and in 2006 for the Duo LiveOak CD Woman of the Water (Gyre 10082).